What are they exactly? What do they do? Why do I need one? normal eyeshadow primers just do not cut it? you need more coverage due to unevenness or veins? you want to add a bit of color correctiveness to your eyelid area? Answer yes to any of these? Then MAC Paint Pots are a great way to go. They are a creamy, thick, and opaque cream which means great coverage when applying to the eye area. They blend out beautifully and can be wore alone or with eyeshadow. Since they create a barrier between your skin and eyeshadow, they can increase the longevity of your eyeshadow and prevent the shadow from creasing or sliding off due to oiliness. Painterly is a cool, ash brown neutral shade with a matte finish. 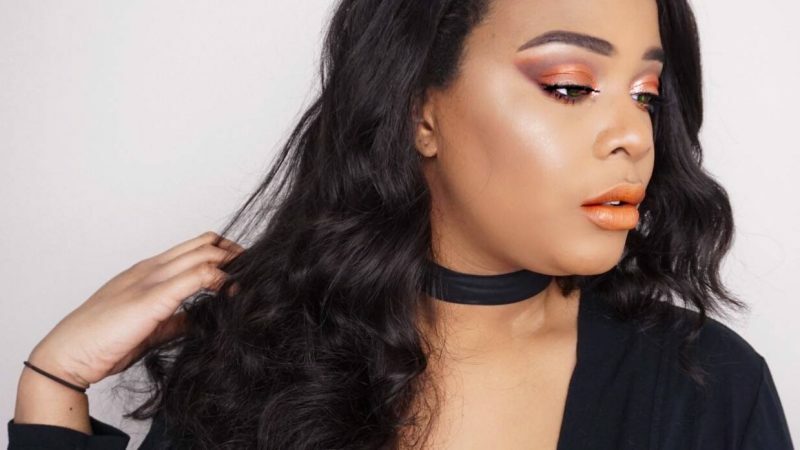 This shade gets a ton of love from Youtube and beauty bloggers. It blanks out the lid and provides a great base for a variety of colors. For my skin tone, it is a bit too cool/ashy but I do know it works with a wide range of lighter skin tones. Check out Painterly Paint Pot here! 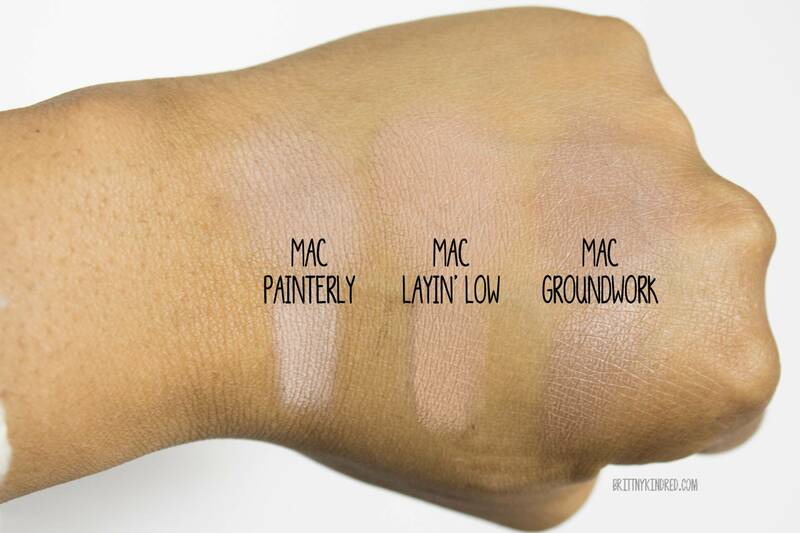 Layin’ Low is a warm, beige with a matte finish. I feel like this shade doesn’t get a lot of love but it’s a much better match for me than Painterly. 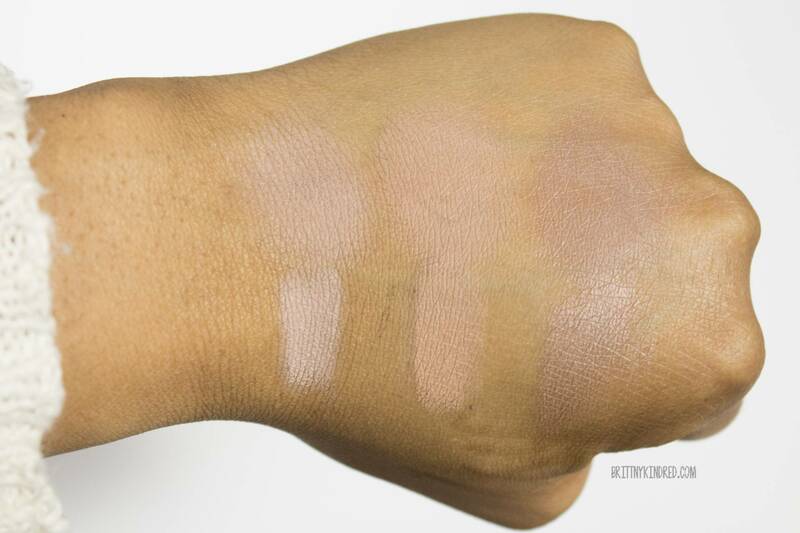 It won’t make your shadows pop as much as a lighter shade does but it evens out the eyelid provides a more neutral base for eyeshadow application. This can even be worn alone for a fresh face, no-makeup makeup look. Check out Layin’ Low Paint Pot here! Groundwork is a medium, dusty brown with a satin finish. I really like this color but I feel like I would use it more on its own as opposed to as a base due to its satin finish. This is perfect for quick makeup days because you can just apply this shade, a little eyeliner and mascara, and your eye look is complete. Check out Groundwork Paint Pot here! Overall, I love the color payoff and opacity. The matte shades are great for evening out skin tone and providing a base for eyeshadow application. There are only a few shades in the permanent collection – most of them being neutrals and shimmers. I plan on getting a few more to add to the collection. I’m looking to get Soft Ochre, Bare Study, and possibly Quite Natural. Do you have any MAC Paint Pots? If so, what shades and how do you use them? Previous Post MAC Smooches for your valentine! It really works for an everyday shade! It’s so easy to apply and looks effortlessly put together. You should check them out next time you’re at a MAC store. Stopping over from the #USbloggers chat tonight! Groundwork is BEAUTIFUL! Ive never tried out the paint pots but now i need to add it to my wish list! Welcome welcome 🙂 You should totally check them out! They are great alone or as a base for other colors. Multipurpose makes it an even better buy in my book. MAC Paint Pots are great. I love cream shadows like these to use as a base. I find MAC eye shadows to be among the best out there. OMG! I haven’t used a paint pot in years. You have definitely resurrected them for me. The Layin’ Low shade looks so pretty. I’m going to have to add this to my collection! I’ve always wanted to try Macs paintpots. I think I’m going to try these colors. I ALWAYS use painterly as my eyeshadow primer. I’ve also gotten really lazy and noticed that it works pretty decent for shaping my eyebrows after I’ve drawn them a bit (I think i’m NW 20 for concealer, if anyone was wondering, since concealer is usually what everyone uses to clean up). Thanks so much for this tip!! I will definitely test this out the next time! All three of those shades are beautiful! I’ve heard so much about these, I think they’ve been used in just about every YouTube tutorial I’ve watched ever haha! But I can totally see why, I think it’s great to invest in multitasking products like these! I’ve never tried them but will check them out. Thanks for sharing your thoughts. I love these swatches. I have only used Painterly (years ago) and I forgot how good these were. I should definitely check these out again! I am a huge fan of Mac paint pots. All three shades look amazing, I want to try Groundwork now! I’ve never used Paint Pots, because I feel like the Urban Decay Primer Potion covers everything and makes my eyeshadow last all day and all night. Would you recommend for me to put this over my primer potion and before my eyeshadow? I’d love to try Layin’ Low. UDPP does create a nice base and softens the skin for smooth application for eyeshadow. For me, the paint pot adds a bit more coverage in creating a blank slate to apply eyeshadow. I recommend applying the Paint Pot over the Primer Potion especially if you have oilier eyelids or need to cover veins/discoloration.